Why we're working with Hemp Flower instead of CBD isolate. As many of you know, we recently decided to discontinue making and selling our CBD Ghee line. The CBD Ghees that we were making were crafted with a CBD isolate powder, whereas our new line of The Hempress Ghees are crafted by steeping hemp flowers into ghee. I’d like to share some more information about this decision, as it came with a huge learning curve for me - and I want you, as a consumer during the CBD craze, to be informed. Because CBD isolate is classified as a pharmaceutical drug it is illegal in many states to add it to food/bevarages - just like it’s illegal to add Aspirin or any drug to commercially sold food. Something that I struggled with while using the CBD isolate in our ghee is that it doesn’t have any color or smell or flavor, and so the actual plant is unrecognizable. It resembles a pharmaceutical drug on a physical level AND an energetic level. It’s powerful medicine, yes. There is no denying that. So is Aspirin. However, it doesn’t fully align with Goddess Ghee’s mission - which is about food (food, not drugs) being our medicine. The key difference between CBD isolate and hemp is whole plant medicine and how that relates to bio-availability (and effectiveness). “Whole plant hemp extract keeps the full properties of the hemp plant intact. In addition to CBD, this extract includes terpenes, cannabinoids, vitamins, minerals, fatty acids, phytonutrients and any other materials that are extracted from the hemp plant. 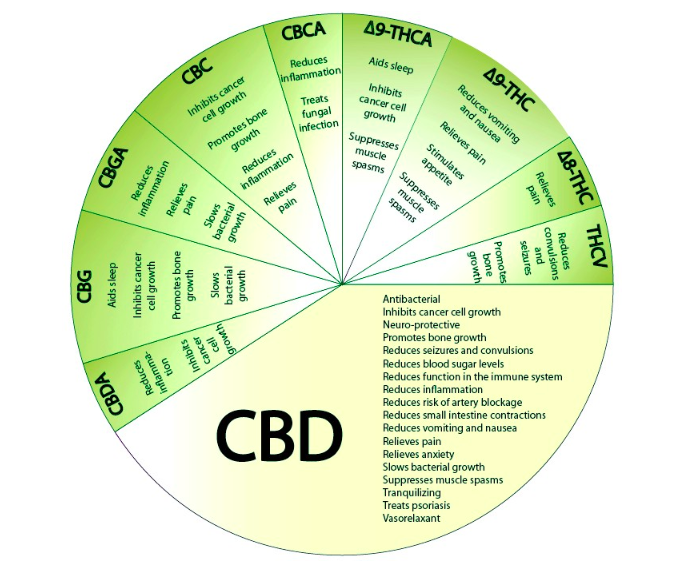 The hemp plant naturally contains over 100 cannabinoids that, similar to CBD, provide their own unique benefit. According to this theory, known as the entourage effect, CBD and other components of hemp work together to improve absorption and effect in the body. These compounds influence each other’s function for a sum greater than its parts. I invite you to read more about this topic to decide what feels best for you, but as far as Goddess Ghee goes we are committed to working with the hemp plant in her pure, unadulterated form. Even if suddenly it becomes legal to put CBD isolate in food, we won’t do it again. There is something really magical about working with this green aromatic plant - in the same way that we work with the golden turmeric and the deep luscious cacao - and this feels more aligned with our values. Our luscious ghee infused with /H e m p/ Flower, Nettles, Tulsi, Mint, and Lemon Balm, then whipped with Raw Honey and Vanilla Bean, topped with a Calendula flower. then whipped with Raw Honey, Raw Cacao, + Vanilla Bean, topped with flowers.